Recognising the importance of this trophy, both to anglers and indeed to the conservation of salmon in Scottish rivers. Farlows has created a new trophy to be awarded annually to the captor of the largest fly-caught salmon safely released in an English or Welsh river. The stained glass panel will remain on permanent display at Farlows iconic Pall Mall store, with the name of the captor, the weight of the fish and the river from which it was caught engraved upon the base. The annual winner will also receive a certificate, a £500 Farlows gift voucher and a uniquely engraved ‘Goliath’ bottle of gin from Foxdenton Estate. A full list of rules and an entry form may be found BELOW and the annual winner will be decided by the decision of the independent Charles Farlow Trophy Committee, headed by Dr. Stephen Marsh-Smith OBE Executive Director of the Wye and Usk Foundation and a Trustee of the Rivers Trust and Afonydd Cymru. Sophie completed a Post Graduate Certificate in Stained Glass at Central Saint Martins and was awarded a Queen Elizabeth Scholarship in 2010. 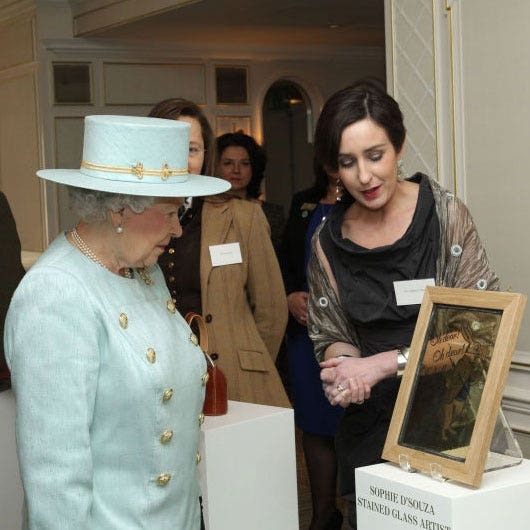 During the course of her work Sophie has met Her Majesty the Queen and in 2013 she exhibited at Buckingham Palace as part of the Queen's Coronation Festival. Although Sophie primarily creates ecclesiastical stained glass and undertakes church commissions, Farlows recognised her unique talent and engaged with her to produce a limited range of stained glass panels depicting some of our iconic sporting species. 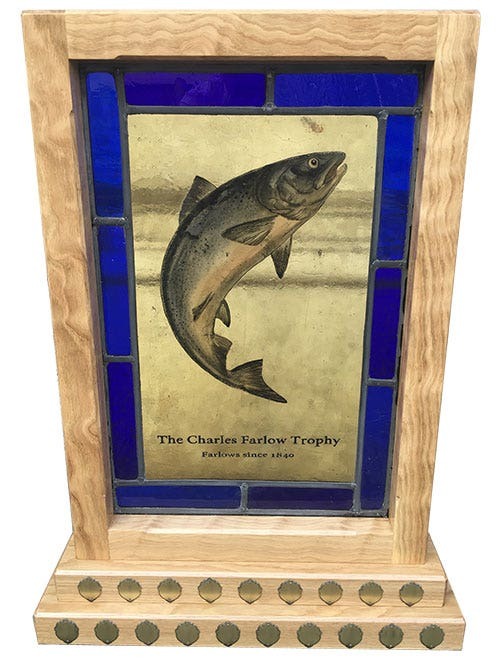 The establishment of the Charles Farlow Trophy is an ideal opportunity to Farlows to work with Sophie again, and to commission a lasting legacy to the Atlantic salmon and indeed the fishermen who cast their flies to them. 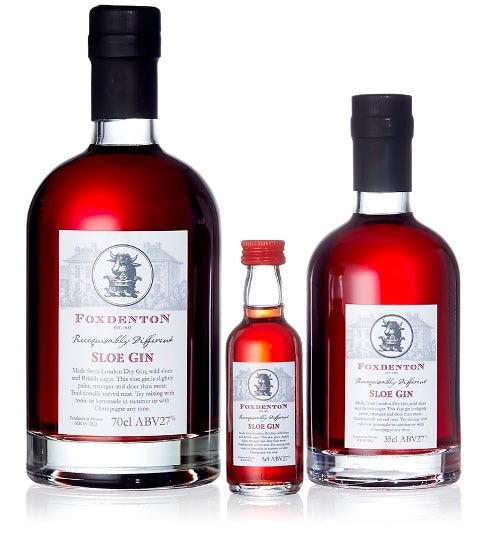 Foxdenton Estate are a small, family run business that specialises in the production of fine English gin and gin liqueurs. The Estate was acquired by the Radclyffe family through marriage in 1367 and the grandson of the first owner was Knighted at the Battle of Agincourt in 1415. The family has been associated with country sports since the early 1800s and have been making fruit liqueurs at home, like nearly everyone else who is keen on field sports, concentrating on the old recipes and making what they love to drink themselves. Their special ‘Goliath’ bottle holds 4.5 litres of either London, sloe, damson, raspberry or plum gin and will be specially engraved for the winner of the Charles Farlow Trophy. Only Atlantic salmon caught using fly tackle and an artificial fly in an approved and sportsmanlike manner and returned safely to the water will be considered. The salmon must be caught from a river in England or Wales or, where a river borders Scotland, from the appropriate beat of the river. All entries must be made within one calendar month of capture. The salmon should be accurately weighed and the weigh net or scales made available for independent testing if requested. The fish should be measured from the tip of the nose to the fork of the tail and the girth recorded around the body immediately in front of the dorsal fin. Measurements will be used to estimate the weight of the fish in the event of a weight not being recorded. The capture must be independently witnessed by at least one other person, two if possible. A photograph of the fish must be submitted. 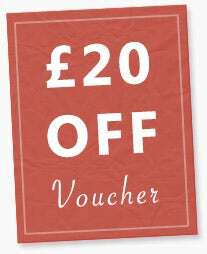 Full details of the fishing tackle used, including rod, reel, line, leader and fly, must be submitted, together with details of the river and the beat fished. The Charles Farlow Trophy committee will consider all valid entries and the winner will be decided on best evidence as agreed by the committee. The winners will be notified by 31st December annually. The committee’s decision is final and no correspondence will be entered into. Please include full address and postcode. Please include weather conditions, condition and height of water etc.